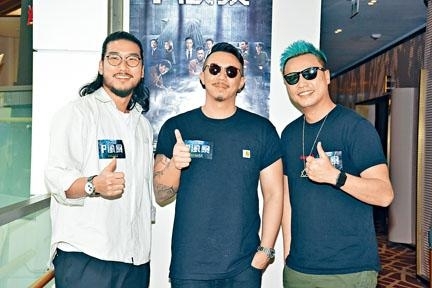 The Raymond Wong Pak Ming produced, David Lam Tak Luk directed, Louis Koo Tin Lok, Kevin Cheng Ka Wing, Raymond Lam Fung, Gordon Lam Ka Tung and Chrissie Chau Sau Na starred P STORM (P FUNG BO) has become a hit since its April 4th Hong Kong and Mainland same day release. As of two days ago after five days in release its Mainland box office was 390 million yuan RMB, not only defeating the superhero film SHAZAM! but also became the single day box office champion for 4 days in a row as it poised to overtake its predecessor's 442 million yuan RMB record; as for Hong Kong it also became this week's Chinese film champion, as of two days ago it already made over HK$ 7.12 million! As for the fourth installment of the anti corruption storm series, this film's stunts were stronger than previous ones. Aside from the helicopter catch, the safe house gun fight at the end between Goo Jai, Lam Fung and Sister Na made the audience's hearts pound. Lam Fung brought heavy machine guns to the safe house to kill Sister Na, luckily Goo Jai arrived in time to protect her. The team built a safe house set for this scene, prepared several hundred bullets and shot for three full days to create the raining bullet effect! The 38th Hong Kong Film Awards will take place soon. The event released a series of promotional videos, with Andy Lau Tak Wa appearing in a flash in the final chapter. The event invited people to share their Hong Kong film memories on camera. 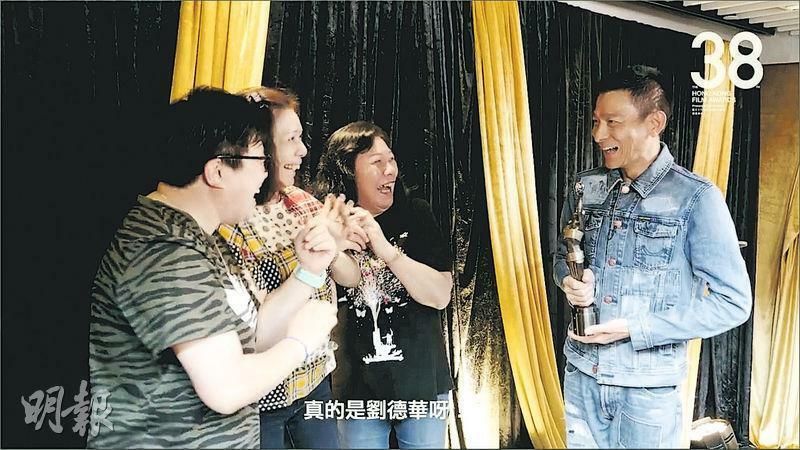 Lau Tak Wa appeared as the "prize presenter" and presented them with the Hong Kong Film Award so they could feel how heavy it was. They screamed at Wa Jai's surprise appearance and even received hugs of love. The funniest was when a young person said that he liked Wong Jing's PROJECT GUTENBERG (MO SEUNG) (actually it was Felix Chong Man Keung's). Wa Jai cracked up behind the camera. The young person finally politely thanked Wa Jai, "Thank you Uncle Lau!" Wa Jai gave a helpless look as a response. Wa Jai said that he has not interacted with the audience up close in a very long time. 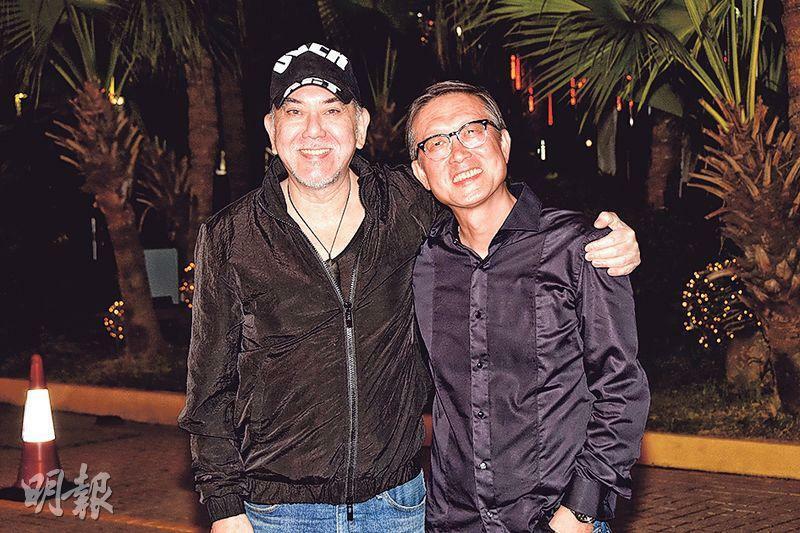 He said, "I was very touched, I hope Hong Kong film will continue to march on." 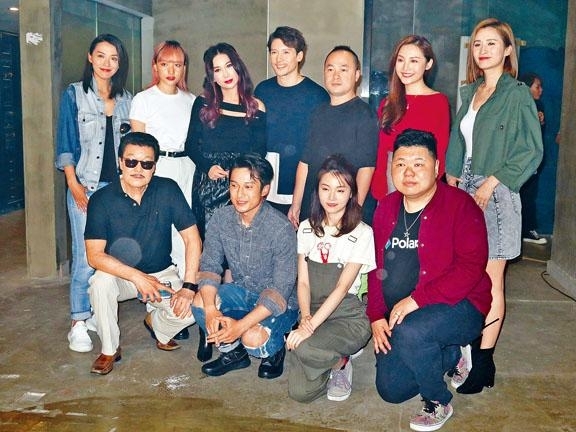 Charlene Choi Cheuk Yin, Ashina Kwok Yik Sum, Hedwig Tam Sin Yin and director Tsang Tsui Shan two nights ago attended THE LADY IMPROPER (FEI FUN SHOOK NUI) audience appreciation event. Ah Sa said that she has not disguised herself to watch the audience reaction but she has read online reviews and comments. She said, "Most were OK, actually they had very different comments. Ultimately each movie has people who like it and dislike it." 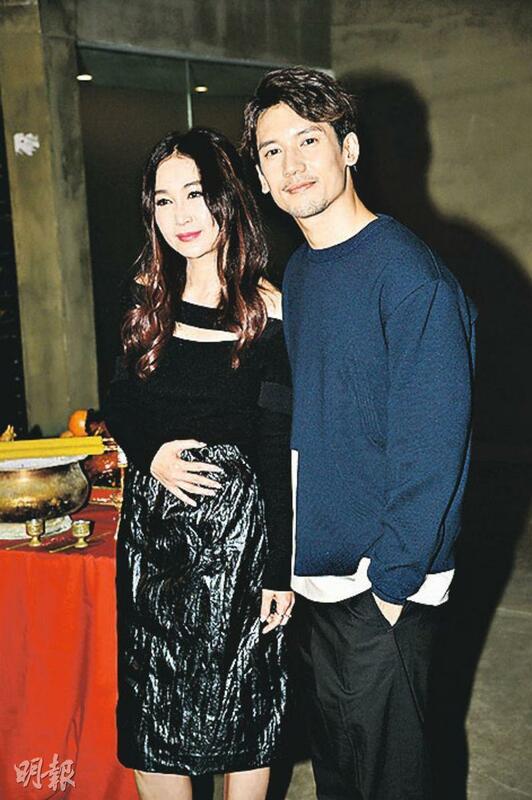 Ah Sa said that earlier at the premiere, she and lead actor Wu Kang-Jen sat together. When they got to their intimate scene they covered their eyes. She said, "No eyes see, it was very awkward. (How did your friends feel about the film?) They definitely support it, they even said that they kept from blinking to watch it." 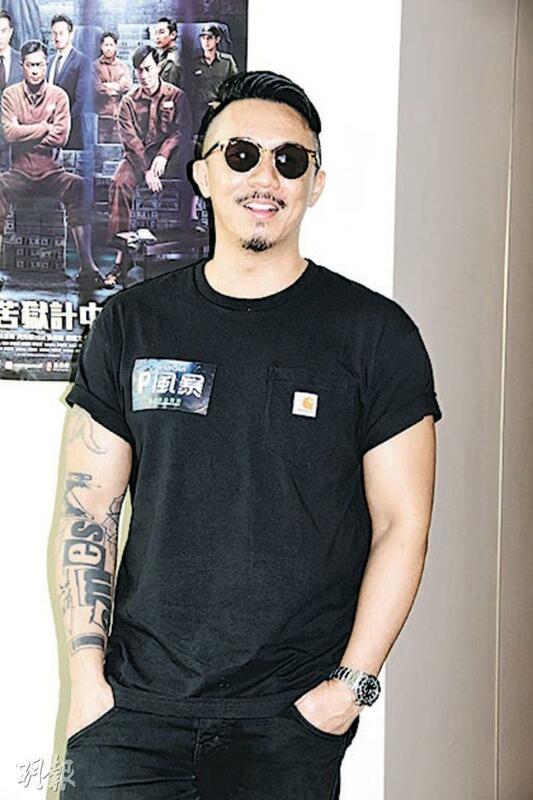 Ah Sa said that Kwok Yik Sum also had intimate scenes. Kwok Yik Sum said that luckily she had a wrap to cover yourself. "Because I was alone, hearing myself was very awkward. (What did you hear?) The 'breathing' sounds from acting." Artiste Nancy Wu stepped into the movie industry last year, and has been nominated for 'Best New Performer' at the Hong Kong Film Awards (HKFA). She frankly said that, upon knowing about her nomination, the feeling was mystical: "Very happy to have an opportunity to be nominated. When I received the news, I was on the street. After hearing it, my mind flashed back to the important images of these ten-plus years of being in the industry. Very unimaginable". When asked whether she was confident in winning the award, Nancy admitted that it was half and half: "Have to look at the direction of the judges. I am not a newcomer in the television industry, but it is my first movie in the movie industry. Have already greatly benefited from having a part in being nominated. Having a normal attitude toward whether I get it or not. (Have already thought about your winning speech?) Will also prepare it because [you] cannot lose face. Scared that my mind will go blank then. (What are your perceptions on the other competitors?) I have not seen all the other nominees' works, but Crisel Consunji also previously won awards at other movie awards ceremonies...very happy for her". Louis Cheung Kai Chung, Justin Cheung Kin Sing and Kumer So San Yu yesterday attended a P STORM (P FUNG BO) audience appreciation event. The film made over HK$ 4 million over 3 days in Hong Kong and almost 300 million RMB in the Mainland. Cheung Kai Chung was rather happy to see the good performance. Aside from the premiere, two nights ago he went to see the movie with his wife and son. His son was so tense that he almost cried. Because in the film he was tortured and beaten up, his son asked if he was fine. Ah Chung said, "I told him I wasn't, you better hurry up and take a little better care of me!"